The Guild is holding two events over London Craft Week, between 8 - 12 May 2019. This exhibition brings together British milliners, chosen for their diverse designs and skills, to give an insight into the particular workings and craftsmanship of each. Curated by leading milliners and Brothers of the Guild, Rachel Trevor Morgan, Edwina Ibbotson and Noel Stewart, the exhibition draws on their experience and knowledge to bring together the best of British millinery, including hats from Stephen Jones, Philip Treacy and Bro. Bridget Bailey. Their aim is to highlight the very special craft of millinery and its varied techniques, both modern and traditional. A working gallery forms part of the exhibition, where you can see hats being made over the three days. There is also a display of winning hats from the annual Feltmakers’ Design Competition. Included in the week are ticketed talks and demonstrations. For more details, please see the website. The Guild is holding a special one-day event to showcase the enormous variety of our members’ craft disciplines. Brothers will be demonstrating the specialist skills involved in the making process of each, featuring stone carving, textile design and calligraphy, to name but a few. Entry is free and refreshments will be available. Bro. Annie Sherburne has a career-spanning retrospective exhibition, Birth of Flowers, at Contemporary Applied Arts from Wednesday 1 May to Saturday 1 June. There will be a private view on Thursday 9 May, 4pm to 7pm and Annie will also be doing a free beading workshop as part of London Craft Week on Saturday 11 May, 2pm - 5pm. The 11th Dedalo Minosse International Prize for Commissioning a Building are now looking for applications. Bro Richard Haslam is a founder Juryman and is looking for architect Brothers to nominate client candidates that have made a significant contribution to the success of a new building. For more information please see the website. Be sure to listen to Bro. Roger Kneebone’s Private Passions on BBC 3. Design for Today have invited Guild members to join them at the event they are holding at the Guild on Wednesday 22 May at 6.30 pm. Simon Armitage will giving the first public reading of his new narrative poem, Hansel & Gretel. The reading will be accompanied by a short animation of Hansel & Gretel, produced by the illustrator Clive Hicks-Jenkins. Tickets are available here. PM Ian Archie Beck’s new book The Magic Hour, based around John Singer Sargent’s painting Carnation, Lily, Lily Rose, has just been published by the Tate Gallery. You can find it here. Designed by PM Brian Webb, the exhibition is now on tour and opens at The Stanley & Audrey Burton Gallery at the University of Leeds from Tuesday 9 April. Bro. Shanti Gorton has designed the set for the play Boomerang which, following two sold out runs, is now showing at the King’s Head Theatre, Islington, from Wednesday 15 to Sunday 19 May. For more info and tickets, please see the website. This Thursday, 14 March, from 6-9pm there will be an open evening at the Guild to view and discuss work in progress for the Re-envisioning John Frederick Lewis - Interpretations in craft and architecture exhibition taking place at the Guild in the Autumn. All are welcome and drinks will be provided. It is an AWG Outreach project in partnership with The Watts Gallery and East London Textile Arts. Bro. Emma Alcock’s exhibition,Quietude, opens this Friday 15 March at the Fine Art Society in Edinburgh, and runs until Saturday 6 April. There will be a private view on Thursday 14 March, 6pm - 8pm. Ceramic Art London takes place from Friday 22 to Sunday 24 March at Central St Martins Kings Cross, featuring work by Brothers Ashley Howard, Chris Keenan, PM Sophie MacCarthy and Jeremy Nichols. Bro. Jacqueline Taber’s Geedon Gallery will be showing East Anglian Women Artists of Today from Saturday 13 to Sunday 28 April, 11am - 5.30pm daily, and then by appointment until Wednesday 15 May. Bro. Lida Lopes Cardozo Kindersley and Frank King have just published Sundials: Cutting Time exploring both the science and art of creating sundials in stone. Illustrations of 27 Kindersley dials dating from 1938 to the present day are detailed, their design and workings explained. To order your copy, you can visit the website or we have a handful of copies in the Office - £15.00 each (plus p & p). Bro. James Stevens Curl has been given the 2019 Arthur Ross Award for Excellence in the Classical Tradition for history and writing by the Institute of Classical Architecture & Art. Bro. Edwina Ibbotson has designed this year’s brooch for Brain Tumour Research - on sale now until Friday 29 March - coinciding with Wear a Hat day - all in aid of raising funds for the charity. Each brooch is £10 and limited to a run of just 500 and you can buy one here. You may also notice brooches designed by Bros Noel Stewart and Rachael Trevor-Morgan in previous years. Made London takes place from Thursday 28 to Sunday 31 March at Canary Wharf. Several Brothers will be exhibiting, including Bridget Bailey, Charlotte Grierson, PM Jane Cox, Jeff Soan, Jeremy Nichols and Lesley Strickland. Bro. Michael Petry has work on show at Artropocene: iBiennale MMXIX at the Y Center for Visual Arts in Honolulu, Hawaii until Sunday 24 March. The work is a MAP unit - made from freshwater pearls and is exactly his height. This is the first UK solo show for Swiss born sculptor Isabella Kocum. Using a number of techniques including printmaking, gilding, sculpture and ceramics, her work explores contemporary issues rooted in the traditions of European art. In this exhibition she will be showing polychrome wood reliefs alongside lustre glazed ceramic figures and lino prints. Bro. Neil Jennings has an exhibition, Relief Printmaking in the Master’s room from Monday 18 to Saturday 30 March. There will be wood engravings, woodcuts and linocuts all available for sale. There will be a private view on Monday 18 March, 6.30 - 9 pm. For more information contact Neil on neiljennings20@gmail.com or 07812 99455. Bro. Rachael Matthews is giving a short talk and ’In Conversation’ on the controversial subject of ’well being’ in the Crafts at Making is Good for You – The Heritage Crafts Association Conference 2019 on Saturday 9 March at Cecil Sharp House. For more information about the event and tickets please see the Heritage Craft association website. Bro. Alan Powers will be speaking on Francis Pollen’s work at Worth Abbey on Saturday 2 March as part of Art + Christianity’s Visual Communion - a series of symposia exploring the art, architecture and craft of the Eucharist, asking how the visual arts have shaped and are shaped by the Eucharist. The event is taking place at the Bishop’s Palace, Chichester and you can find more details on the website. The Outreach Committee are calling for submissions for an exhibition exploring the work of the Victorian Orientalist painter, John Frederick Lewis, and offering contemporary interpretations of ’the Oriental’ today. The project is in partnership with East London Textile Arts and The Watts Gallery and will run in parallel to the Watts Gallery exhibition of portraits by John Frederick Lewis to be held from summer 2019. The Guild exhibition will be on show in January and February 2020. Brothers are invited to participate in two ways. The first is by creating an octagon, based on the traditional Islamic motif. You can interpret this in any way you choose and in any medium you choose. The octagon should be no bigger than 16cm across – i.e. based on two intersecting 12 cm squares. Please find a template attached to get you started. The image above shows examples of octagons that have been made and embroidered by ELTA to give some inspiration. The second way to participate is if Brothers have ideas or already finished work which they feel would fit within the focus of the show - whether illustration, architectural plans, Islamic designs etc - we’d love to see them and work out how they can be incorporated. Inclusion is on a first come basis. Work can be for sale. If you would like to take part in the project or would like more information, please contact Bro. Celia Ward by email or phone on 07985 993191. We’d love as many Brothers as possible to participate. We have recently found out that HRH Prince of Wales’ visit to the Guild last year was reported in the Daily Mail at the time. Bro. Shanti Gorton has designed the set for the play Boomerang, which is showing at the White Bear Theatre Pub, Kennington, from Tuesday 26 February to Saturday 2 March. For more info and tickets, please see the website. Bro. Silvia McRae-Brown is holding a Creative Weekend at Paddock Studio in Lewes, creating portraits in clay on Saturday 2 and Sunday 3 March. For more information please see the website. An exhibition of glass work by Brothers in the Yellow Gallery and Courtyard. The exhibition shows finished pieces and the processes and tools behind them and features work by Katharine Coleman, Ged Palmer, Sally Pollitzer, Tracey Sheppard, Caroline Swash and Helen Whittaker. Curated by Bro. Monica Grose-Hodge. The Committee meeting on the 23 January saw the election of a new Brother and a new Affiliate Brother to the Guild. We wish them both a very warm welcome! Bro. Luke Hughes will be giving a talk entitled The Arts and Crafts in the Digital Age, on Friday 22 February, 6pm, to the Friends of the Gordon Russell Design Museum at the Lygon Arms in Broadway, Worcs. Guild Brothers are welcome to attend and you can find more information here. Bro. Ivy Smith’s painting of Sir Richard and Sir David Attenborough (1989) is included in the new 20th Century display at the National Portrait Gallery. Bro. Magdalene Odundo has an exhibition of work The Journey of Things opening at The Hepworth Wakefield from Saturday 16 February to Sunday 2 June 2019. This major exhibition will bring together more than 50 of Odundo’s vessels alongside a large selection of historic and contemporary objects which she has curated to reveal the vast range of references from around the globe that have informed the development of her unique work. Bro. Roger Kneebone will become the fourteenth Professor of Anatomy at the Royal Academy of Arts on January 19 2019. You can also view recordings of his recent Gresham Lecture series online - Dissecting the Consultation also features new Brother Will Houstoun. Bro. Rebecca Jewell will be showing new and recent work in a joint exhibition with artist Pam Hawkes at the Catto Gallery from Friday 8 to Monday 25 February. There will be a private view on Thursday 7 February, 6 - 8.30 pm - please RSVP to rebecca@pagelane.co.uk. There was a brilliant double page spread in the Christmas edition of the Fortean Times featuring an interview with Bro. Stephen Fowler about the AWG Table Top Museum 2018 that took place as part of Open House. Get your thinking hats on for 2019’s Museum! Bro. Richard Sorrell is holding a painting holiday at Camilla and Gianludovico de Martino’s splendid palazzo in Amantea, Southern Italy, from Saturday 18 - Saturday 25 May 2019. Easels, canvas and acrylic paints provided, please bring own brushes, oil paints and watercolours. For more information or to book a place please contact Camilla de Martino. Bro. James Stevens Curl has written the foreword to a new facsimile of Theo Moody’s 1939 book, The Londonderry Plantation 1609-41.You can view more information here. The Committee meeting on the 21 November saw the election of 5 new Brothers to the Guild. We wish them all a very warm welcome! Bro. Rachael Matthews is showing knitted rocks at the Live Art Development Agency Festive Fair on Sunday 9 December. Bro. Alan Kitching will be launching his A to Z of London as a boxed limited edition at the London Art Fair from Wednesday 16 to Sunday 20 January 2019. It is a subjective A to Z of his favourite haunts in the capital - a lexicon of London marries the individual letters of the alphabet with many historic locations, contemporary buildings, national monuments, sports grounds, hotels and eponymous retailers that contribute to the fabric of this great city. Bro. Michael Petry will be discussing the lasting influence of Spanish Old Masters in contemporary arts practice with Dr Nicola Jennings, Director of the Colnaghi Foundation, at Curators in Conversation, on 6 December, 6:30 - 8:30pm at the Colnaghi Foundation. The event is part of Spain NOW!, celebrating the 10th anniversary of the season of contemporary arts and culture in London. Please RSVP to info@colnaghifoundation.com. Why do we pick up pebbles on the beach? Random Spectacular’s (otherwise known as Bros Angie and Simon Lewin) forthcoming book (published in February 2019) is part social history and part practical guide - writer and pebble collector Christopher Stocks unearths the sometimes surprising story of our love-affair with pebbles, and considers how the way we see them today has been influenced over the years by artists, authors and even archaeologists. Bro. Angie has illustrated the book with more than 40 prints, watercolours and sketchbook pages. On Monday 17 December at 4pm, Bro. Lida Kindersley will feature on Marking Time on BBC Radio 4, talking about the Cardozo Kindersley Workshop. The workshop also has a new book,Cutting through nature - Kindersley Inscriptions from Wild Settings to intimate Gardensavailable here. Pollock’s Toy Museum Trust and Bro. Alan Powers will be holding the Toy Theatre Tea Party on Sunday 6 January 2019 at the Guild. Joe Gladwin will be performing Aladdin, or The Wonderful Lamp. The first performance is 2pm for 2.30pm start followed by a slap up tea. The second performance starts with tea at 4.30pm with curtain up at 5pm. Tickets are £8 for Adults, £3 for Children. Please contactpasquito@aol.com for more information. A selection of festive cards created by Brothers of the Guild on sale in the Gallery. Please ask for Elspeth, Leigh or Catherine if you would like to purchase. An exhibition exploring a collaboration between painting, gilding and computer graphics by Brother Elizabeth Ball, Prof. Grzegorz Mazurek and Marek Letkiewicz PhD. Exploring the concept that museums are not a storage of paintings and sculptures but repositories of timeless human imagination. Images reach us from the past, they are projections of the visual mind in which we intuitively sense the vibration, strength of life and energy. There will be a private view on Saturday 24 November, 6 - 9.30 pm. Bro. Russell Taylor has adapted and renovated a listed building on Fitzroy Square for the Royal Society of Musicians which was formally opened by HRH The Prince of Wales on Thursday 15 November. Bro. Lincoln Taber has an exhibition, Remarkable Creatures, along with Stephanie Rubin at Thompson Spare until Saturday 1 December. PM Anthony Paine has created three handcrafted beehives, commissioned by Fortnum & Mason to give as a birthday present to HRH the Prince of Wales for the gardens at Highgrove. He has worked in close consultation with Steven Benbow, keeper of the hives at both Highgrove and Fortnum & Mason. ’We wanted to be sure the bees would be happy, rather than flying away in fright’. Bro. Andrew Davidson has illustrated this years Royal Mail Christmas stamps. Past Masters Peyton Skipwith and Brian Webb’s latest book Eric Ravilious Scrapbooks is just published by Lund Humphries. It follows the same format as their book Edward Bawden Scrapbooks from the same publisher. PM Sophie MacCarthy will be exhibiting her ceramics alongside paintings by her brother Charles MacCarthy at the Piers Feetham Gallery. Exhibition runs from until Saturday 24 November. There will be a private view on Thursday 1 and Tuesday 6 November, 6.30pm - 8.30pm. For more information please see the website. Bro. Rob Ryan has a solo show of his papercuts and silkscreen prints at the William Morris Gallery until Sunday 27 January 2019. Bro. Roger Kneebone was interviewed by Martha Kearney on BBC Radio 4’s Today programme on Tuesday (6.55 am) discussing dexterity, surgery and the knowledge of the maker. Bro. Tim Ward has created a permanent civic beacon for Ashford - whose first formal firing will be on Sunday 11 November. Better known for his books on mid-twentieth century British artists, architects and designers, Bro. Alan Powers also produced a considerable body of paintings and graphics, mostly in the 1980s. These are the subject of a forthcoming book from Inky Parrot Press, with text by the artist and introductory essays by Peter Davidson and Michael Hall. In anticipation of this, he is staging a small retrospective exhibition at the Art Workers’ Guild, of which he has been a member since 1982. Bro. Shawn Williamson appeared on Radio Cumbria’s ’The Arty Show’ talking about his latest project. Hear him around 11 minutes in. There will be an exhibition of past Bro. Gillian Whaite’s and her father, Clarence Whaite’s, work called ’Father and Daughter’ at the Oxmarket Gallery, Chichester, from Tuesday 6 to Sunday 18 November. Master Jane Cox will open the exhibition on Tuesday 6 at 6pm. Please see the website for more information. The Duchess of Sussex attended last weekend’s Royal Wedding wearing a hat made by Bro. Noel Stewart. Bros Sandy Ross Sykes and Rebecca Jewell are running a natural history painting course at the Linnean Society from the end of October. Please see the website for more details. Bro. Simon Henley was recently shortlisted for the RIBA Stirling Prize. The shortlisted project is currently on show at RIBA, 66 Portland Place, until Friday 9 November. A film screening of The Chair Maker by Falcon Productions. Master craftsman Lawrence Neal has been handcrafting exquisite ladderback chairs for over half a century. The Chair Maker explores his making process, the historic lineage of ladderback chairs, and the existential threat facing modern craftspeople. For more information see the website. Bro. Tanya Harrod’s new book, CRAFT: Documents of Contemporary Art, published by MIT and the Whitechapel Gallery is now available. Tanya will be in conversation with Phyllida Barlow to formally launch the book at the Whitechapel Gallery on Thursday 29 November at 7pm. For more information please see the website. Bro. Jacqueline Taber’s Geedon Gallery is holding an Autumn exhibition until Sunday 21 October, 11am to 5.30pm daily, and then by appointment until Saturday 15 December. The exhibition features many Brothers of the Guild, including Bro. Matthew Eve, PM Prue Cooper, Bro. A Lincoln Taber, Bro. Anne Hickmott, Bro. Jeff Soan and Bro. Georgy Metichian. Bro. Michael Petry’s new book, The Word is Art, will be published by Thames and Hudson on Thursday 18 October. For more info please see Michael’s website. Made London takes place Thursday 18 to Sunday 21 October featuring work by many Brothers, including new Bro. Bridget Bailey, Master Jane Cox, Bro. Charlotte Grierson, Bro. Jeremy Nichols, Bro. Jeff Soan, and Bro. Lesley Strickland. Bro’s Sally Scott and Gilbert Whyman are holding an Open Studio and garden this weekend, Saturday 13 and Sunday 14 October, 11am - 6pm. For more info please the leaflet here. Bro. Roger Kneebone will be giving four public lectures as Gresham College 2018 Visiting Professor of Medical Education. His theme is ‘Performing Medicine, Performing Surgery’ and he’ll be drawing on many of his collaborations with Brothers of the Guild. The first lecture is on Wednesday 31 October at 6 pm at the Museum of London. For more info see the website. The Committee meeting on the 26 September saw the election of 4 new Brothers to the Guild. We wish them all a very warm welcome! Bro. Neil Jennings is holding ’The Studio of Harold Jones’ at the Guild from Monday 1 to Saturday 13 October. Featuring paintings, watercolours, prints and original artwork. Bro. Marianne Tidcombe will be giving a lecture, ‘The Imprisonment of Annie Cobden-Sanderson, Women’s Suffrage, and the Arts and Crafts Movement’ at The Watts Gallery Artists’ Village, Compton, Surrey on Wednesday 26 September 2018 at 7 pm. See website for tickets. An interview with Bro. Matthew Eve is featured in this year’s ’200 Best Illustrators Worldwide’ published by Luerzer’s Archive. Bro. Giles Downes has an exhibition, Sculpture Dialogues, at The Gallery 77 Cowcross Street, London from Monday 5 to Friday 16 November. There will be a private view on Tuesday 6 November. Bro. Angie Lewin, along with Emily Sutton, is holding ’Nature Table’ at the Town House in Spitalfields, showing recent work and new fabric and wallpaper designs, until Sunday 30 September. This is a St Jude’s In The City event, and visitors will also be able to explore the St Jude’s Studio Archive range, featuring reissued wallpaper designs by Edward Bawden and Sheila Robinson. Forty five years ago, PM Ian Archie Beck drew the cover image of Elton John’s seminal album Goodbye Yellow Brick Road. Elton is now embarking on his three year world tour Farewell Yellow Brick Road. PM Beck has made a new updated version of the original drawing which features on the official tour souvenir programme. Bro. Sue Lowday is featured on Craft in Focus this month, giving an insight into her work. The Art Workers’ Guild Table Top Museum is back for its third year, in conjunction with Open House weekend. Join us for an inventive celebration of the madness and the individual and extraordinary rules of those who collect, organised by Bro. Stephen Fowler and PM George Hardie. Come and delight in an exhibition of 24 installations, curated by Guild Brothers and others selected by invitation, featuring mincers, alphabets, antique breadboards, rough seas, objects of desire and the architectural garden of Eden, to name but a few. This year we will also be dedicating a table to matchbox museums - special collections in micro. This forms part of Open House Weekend. More information can be found on their website and catalogue. We will be open to the public for one day only on Sunday 23 September, 11 am – 6 pm. Cake and refreshments will be available throughout the day. We are calling for submissions from Brothers of the Guild and their friends who would like to exhibit their collections, be they large or small. This year, the focus is again on ’Museums’, rather than simply collections. Submissions will be discussed by the Outreach Committee and accepted on the basis of the classification, narrative and explanations provided, as well as the quality, quirkiness or interest of the collection itself. If you’d like to take part, but cannot attend on the day itself, we are also reserving a table for a collection of Matchbox Museums. You can send your micro museums in the post to Leigh Milsom Fowler at the Guild. The Museum forms part of Open House Weekend, and will feature on their website and catalogue. Please send details of your collection to Leigh on leigh@artworkersguild.org answering the following by Friday 31 August. Bro. Angela Barrett has illustrated The Restless Girls by Jessie Burton, a feminist reinterpretation of a classic fairytale. The book is coming out on 27 September with Bloomsbury. Bro. Peter Burman is organising the third annual Falkland Craft Symposium at the Centre for Stewardship, Fife, this weekend, Friday 17 to Sunday 19 August. The symposium celebrates traditional skills and provides opportunities for demonstrating and sharing them. For more information please see here. Bros Kevin Mulvany and Susie Rogers have just finished their latest, two year long project, Savage Manor, a quintessential English manor house, detailing the evolution of the Savage family home from 1500 to 1700. Bro. Georgy Metichian currently has a hand carved picture frame on show at Buckingham Palace, selected by HRH The Prince of Wales, as part of the Prince & Patron Exhibition by the Royal Collection Trust. Bro. Silvia MacRae Brown is running a Sculpture Summer School at Ditchling Museum of Art & Craft over the bank holiday weekend Saturday 25 to Monday 27 August, 10am - 4pm. For more info and how to book, please see here. Bro. Katharine Coleman features in the latest episode of Bro. Roger Kneebone’s podcast Countercurrent. PM Marthe Armitage has an exhibition of prints and paintings at Christ Church, Turnham Green, Town Hall Avenue, London W4 5DT from Friday 13 July to Monday 16 July. For more info see the leaflet here. Many Brothers, including Eric Marland, Tom Perkins and John Nash have work featured in a new exhibition, Alphabet Museum, at the Lettering Arts Centre, Snape Maltings, Suffolk, IP17 1SP until Sunday 9 September 2018. The exhibition includes carvings, drawings, glass and wood work, systems of codes, Greek, Roman and Hebrew alphabets and axe work. Brother Richard Sorrell has a BREXhibITion of paintings about Exit from Brexit at the Bankside Gallery from Tuesday 24 July to Sunday 29 July. Brothers Jacqueline and Lincoln Taber are holding an exhibition of their work at the Geedon Gallery, Jaggers, Fingringhoe, Colchester, Essex CO5 7DN, from Saturday 14 July to Sunday 22 July, 11 am - 5.30 pm. Master Jane Cox and Brother Sue Lowday, along with Anne Lynch, are holding an open studio at 62a Tyrwhitt road, London, SE4 1QG, as part of Brockley Open Studios on Saturday 30 June and Sunday 1 July. For more info please see here. Bro. Rob Ryan and TAG Fine Arts will be holding an exhibition of new work, But If I Tell You It Won’t Come True at the Guild. Rob has made a departure from his previous monochromatic paper cuts, showing new pieces using multi-layered collaged paper cuts and highly coloured limited silkscreen prints. For more info please see the website. Opening hours are Monday 18 June to Saturday 23 June, 10 am - 6 pm. There will be a book signing with Rob on Saturday 23 June 1 pm - 3 pm. An exhibition of works refused entry into the Royal Academy Summer Exhibition by members of the Traditional Architecture Group, organised by Bro. Simon Hurst. This year, many TAG members submitted entries for the Royal Academy Summer Exhibition. So far all but one have been refused and all these entries, which include many fine architectural models, exquisite drawings, stone carvings and plasterwork will go into TAG’s own exhibition. There will be a private view on Thursday 14 June, 6.30 pm - 9.30 pm to celebrate and publicise the fine work being produced by TAG members. Come along and judge for yourselves - drinks and nibbles are provided! Bro. Stephen Fowler and Bro. Geoff Coupland are holding an evening of craft workshops, dance and music in celebration of the golden thread that entwines the folk song of the UK and USA together. Murri Celebrates the Golden Thread is taking place on Thursday 28 June 2018 from 4 pm to 10.30 pm, at Cecil Sharp House. Bro. Julie Westbury has been commissioned by London Transport to make two posters to promote shopping in Brixton and East Dulwich - you should be able to spot them on show throughout the underground. Bro. Angie Lewin and Bro. Simon Lewin, as St Jude’s, have just published Edward Bawden at Home under their Random Spectacular publishing imprint to accompany the exhibition at the Fry Art Gallery in Saffron Walden. It’s designed by Past Master Brian Webb and features written contributions by Past Master Peyton Skipwith and Brother Chris Brown. An exhibition of work by new Brothers in the Yellow Gallery at the Art Workers’ Guild. The exhibition shows finished pieces and the processes and tools behind them and features work by Hannah Coulson, Zebedee Helm and Jeff Soan. There are several strands to my work: I’m a painter and illustrator, I lead workshops, I manage a programme that establishes creative exchanges between young people and practitioners, and I write and research too. These strands often overlap, informing and enriching each other. As an illustrator and painter, I am interested in developing ways to make playful, less self-conscious work. I don’t have one fixed style or attitude, but I think there are sensibilities that can often be found in what I make. I like drawing outdoors. I like making things for people. As a workshop leader and as a manager of participatory projects, I aim to have an adaptable approach that is responsive to the interests and needs of all those taking part. I value discussion and collaboration. I think about pace and flow. When I write, I follow diverging and disparate threads of thought. I like finding ways to bring those threads together. I tend to look at ideas from multiple viewpoints rather than starting out with a theory to prove. I like to see the connections in things. 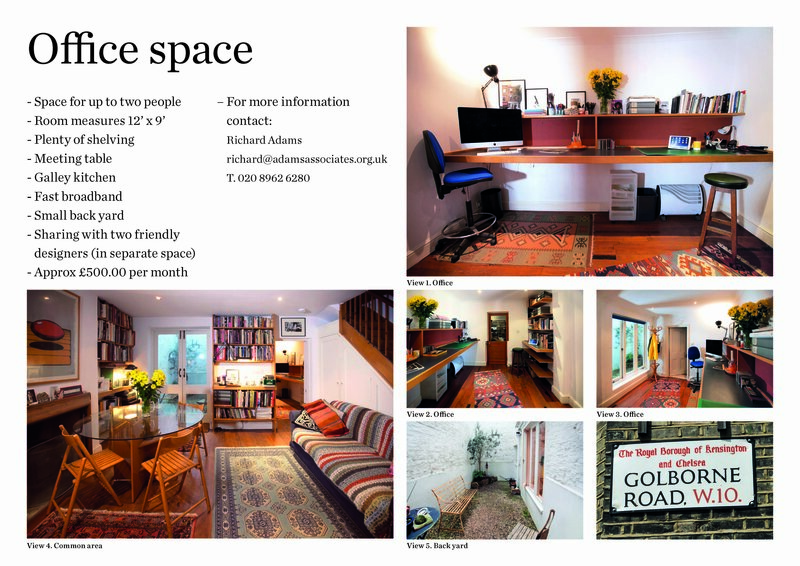 Zebeedee Helm’s work is regularly published in several national publications including Private Eye, The Spectator, House and Garden, The Lady and Art Review. Recently he has been contributing animated Gifs on political matters to the Financial Times. He has embarked on creating a series of children’s guides, which include Kit and Willy’s guide to the Dogs of the World, Art and a forthcoming one on Buildings. They are co-published in America. In 2012 he co-wrote and illustrated a best-selling ABC book about the British Middle Class called inventively The Middle Class ABC. This was published by John Murray and has been translated into Mandarin and is hugely popular in China. In late 2013 he cobbled together some drawings for John Lobb, the luxury shoemaker, then trotted out some maps and multifarious illustrations for French fashion house, Hermes. Fortnum & Mason got scent of his talent and commissioned a mural in the fragrance and beauty hall, and he inflated his prices for a residency with Airbnb in Milan. His latest illustrated work is a set of drawings for a recent history of Wimbledon tennis championships, called Standing in Line, which is published in May 2018. He also serves up the official cartoons for the Wimbledon fortnight and for the last 3 years has been the piss artist in chief for Jeroboams and their numerous wine merchants across London. His ancient family motto is ‘Leones mihi cassis’, which translates as ‘Lions are blackcurrants to me’. He lives by this, in a hovel on the side of a windy valley in The Poshwolds. His interests include nougat. My work reflects equally a love of creatures, great and small, and a love of wood. My earlier training as an artist and more lately as a toymaker has led to objects which can be seen as playful sculpture or perhaps sculptural toys, but I generally refer to it as Wobbly Wood. I try to express the essential nature of the animals, birds, and fish I create, sometimes by simplification, sometimes by attention to detail and very often by the sinuous movement achieved with the technique of articulation. A large part of my work in recent years has been investigating the possibilities of this wobbly wood which is created by cutting the wood into narrow sections and securing it to canvas. I use the wood’s natural forms and features; its grain, colour and bark to suggest the creature’s shape, markings, feathers and texture. Reclaimed wood is used extensively, from discarded furniture, driftwood, industrial pallets and friends’ and neighbours’ prunings, and it is this found wood that often informs and shapes the work. This constantly varying source of timber helps keep the work fresh and alive. An exhibition bringing together the best of British millinery, showcasing the diverse styles and skills of makers and giving an insight into their design processes. In conjunction with London Craft Week, supported by the Worshipful Company of Feltmakers and hosted by the Art Workers’ Guild. Curated by leading milliners Bro. Rachel Trevor Morgan, Bro. Edwina Ibbotson and Bro. Noel Stewart, this unique exhibition draws on their experience and knowledge to highlight the very special craft of millinery and its varied techniques, both modern and traditional. It includes hats from Stephen Jones and Philip Treacy as well as millinery costumier, Bro. Jane Smith. There will also be a display of winning hats from the annual Feltmakers’ Design Competition. Throughout the week there will be a variety of ticketed talks, demonstrations and a documentary film. Please visit feltmakers.co.uk/london-craft-week for more details and booking. Any profits raised for this event will go towards The Feltmakers Charitable Trust. The Committee meeting on the 25 April saw the election of 5 new Brothers to the Guild. We wish them all a very warm welcome! Brother Tif Hunter is holding an exhibition of his work, Mirror Mirror, at Messum’s in Wiltshire from 16 - 20 May. For more information, please see the website. Bro. Neil Jennings is holding Standing a Little Outside Life - Edward Bawden and his friends and Followers at the Morley Gallery, 61 Westminster Bridge Road, SE1 7HT from Monday 18 – Friday 22 June. There will be a private view on Tuesday 19 June 6 – 8.30. Please RSVP to neiljennings20@gmail.com. Bro. Silvia MacRae Brown is holding a 3 day course from 19 - 21 May with the Society of Portrait Sculptors, creating life size portraits in clay. It will be held at Skelton Studios (studio of the late John Skelton) and will cost £250. To book your place please email sps@portrait-sculpture.org . For more info please see the website. For those that don’t already know, Bro. Roger Kneebone creates a regular podcast called Countercurrent, where he holds conversations with ’unorthodox people whose careers defy traditional boundaries and who swim against the tide’. You will find several Brothers of the Guild there, including PM Prue Cooper, Bro. Jane Smith, and Bro. Isabella Kocum amongst others. To explore, please see the website. Bro. Alec Peever is holding an Open Studio, along with his wife, Fiona Peever, this coming weekend, Thursday 10 - Sunday 13 May. 12 pm - 5 pm. Bro. Michael Petry is currently participating in a group exhibition, Workflow, at the CC Sint-Niklaas museum, Belgium until 2 September 2018. He is showing Libation to Virgo (Aphrodite), 2017, silver glazed porcelain stars in the shape of the Virgo constellation. For more information please see the website. Brother Geoffrey Preston will be participating in London Craft Week in a group exhibition, Walpole’s Crafted: Makers of the Exceptional, at Battersea Power Station. He will be exhibiting three new flower panels, which were inspired by paintings on French 18th century porcelain. On Wednesday 9 May Geoffrey will be showing his sketchbooks and drawings, and discussing the inspiration behind some of his favourite pieces. For more info please see the website. New Brother, Chris Keenan, will be taking part in the Art in Ditchling open house exhibition. Worked Surface will explore how hand, eye and tool work together to create texture and detailing to the finished surface. It is a collaboration between Chris, textile designer/weaver Emily Mackey and furniture makers, Petrel. For more info please see the website. The Guild now has a Facebook Page - if you use Facebook - please come and like us! Past Master Sally Pollitzer has recently completed a new commission comprised of three panels with a wall hung light box, called Reaching Out, for the Spiritual Care Centre at the Royal United Hospital, Bath. Made London is taking place from Wednesday 25 April to Sunday 29 April at the East Wintergarden at Canary Wharf. Admission is free and they will be showcasing over 100 makers, including our Master Jane Cox, Bro. Charlotte Grierson, Bro. Sue Lowday and Bro. Lesley Strickland. Bro. Peter Kindersley’s image of Bishop Libby Lane is featured in a new book by the National Portrait Gallery entitled 100 Pioneering Women. Bro. Rosemary Ransome Wallis has curated the upcoming exhibition Grant Macdonald International Silversmith. It is on at Goldsmiths’ Hall from Wednesday 25 April - Wednesday 25 July 2018 . For more information please see here. Hon. Sec. Rebecca Jewell is teaching Drawn from Nature: The Exotic, a five week course at the Royal Drawing School from Wednesday 25 April. As well as drawing from natural objects and artefacts in the studio, and the odd rare live animal, the course will visit the V&A, London Zoo and the Grant Zoology Museum. For more information please see the website. Bro. Renee Spierdijk has an exhibition Imposed Transitions at the Alison Richard Building at University of Cambridge from Thursday 5 April to Friday 29 June 2018. Bro. Jane Dorner has published a book of memoirs centred on her handmade Easter eggs and Christmas cards - £10 each - please get in contact with Jane if you would like one. Bro. Shawn Williamson runs an art project retreat on an island in Chile https://www.isletillachiloe.com. Special rates are available for Guild members. Bro. Jane Dorner is holding The Workshop of Past Master Stephen Gottlieb, an exhibition of work inspired by PM Stephen Gottlieb’s workshop, at the Guild from Monday 9 to Sunday 15 April. Over 50 splendid pieces have been made specially for the exhibition, many of which are contributed by Brothers, illustrating the diversity of a craftsman’s practice. There will be a private view on Saturday 14 April, 6 – 9 pm and Brothers will of course be able to view the exhibition at the Sketchbook evening. On Wednesday 7 March, the Guild had the honour of hosting Hon. Brother HRH The Prince of Wales. His visit marked the official opening of the new Courtyard. As well as unveiling a plaque in honour of his visit, he took the opportunity to meet and view the work of Brothers. More photos can be found on the Guild’s Instagram feed. Bro. Silvia MacRae Brown is holding life drawing days at Charleston on the first Tuesday of every month, 10 am - 4 pm. The fee is £45 for the day - bring a packed lunch to enjoy in the studio or the folly garden. For more information and how to book please see the website. PM Brian Webb has curated an exhibition Edward Bawden at Home at the Fry Art Gallery from 1 April to 28 October 2018, with a private view on Saturday 31 March, 11 am - 1 pm. PM Sophie MacCarthy and Bro. Jeremy Nicholls are both exhibiting at Innovations in Ceramic Art this weekend, Saturday 3 to Sunday 4 March 2018 at The Guildhall, Cambridge. Brother Ashley Howard has an exhibition, Meditations, at Guildford Cathedral from Thursday 5 April to Friday 18 May 2018. There will be a private view on Wednesday 4 April, 6 pm to 8 pm. Bro. Neil Jennings is holding an exhibition of lithographs and drawings by James Boswell at the Guild. There will also be additional Lithographs on show from Vanessa Bell, Robert Bevan, Barnett Freedman, Duncan Grant, James Holland, Henry Moore, John Piper and Graham Sutherland. The exhibition is open Monday 5 March - Saturday 10 March. Saturday 10.30 am - 3.30 pm. There will be a private view Monday 5 March, 6 - 9 pm in the Master’s Room. Dear Edward, the twenty-year correspondence of PM Peyton Skipwith with Edward Bawden, is now available. A hardback book of 240 pages, it is extensively illustrated with Bawden reproductions, including a new, two-colour pattern paper on the covers. Design is by PM Brian Webb and printing by PM Phil Abel. For more information please see the website. Bro. Jacqueline Taber’s Geedon Gallery is holding a spring exhibition, New English Art Club, from Saturday 24 March to Sunday 8 April, and then by appointment until Tuesday 15 May. Featuring work by Master Jane Cox, Past Master Josephine Harris and Brothers Vicki Ambery-Smith, Anne Hickmott, Georgy Mertichian, Jeff Soane and Richard Sorrell, along with members of the New English Art Club. Image - PM Josephine Harris - Late as always. London Craft Week takes place 9 - 13 May 2018. The Guild will be partnering with the Worshipful Company of Feltmakers to hold a millinery exhibition and lectures, involving Brothers Edwina Ibbotson, Noel Stewart and Rachel Trevor-Morgan. More details to follow. Bro. Vicki Ambery-Smith is taking part in an exhibition, ‘Sheer Folly’, at the Yorkshire Sculpture Park. Featuring Silver follies by Vicki and pictures by Ed Kluz. Until Sunday 25 February 2018. On Thursday 1 March the Guild will be holding a film screening of Anthony Dolan’s new film ’Edgar Wood - a Painted Veil’, featuring Bro. Gareth Mason as Edgar Wood. Please contact us on 020 7713 0966 if you would like to attend. Bro. Perry Bruce-Mitford has been awarded the Medal of the Victorian Order in the New Year’s Honours. Bro. Alan Kitching has an exhibition ’Letterpress Prints - From a Lifetime of Letterpress Printing’ at the North House Gallery in Manningtree until Saturday 20 January. Bro. Luke Hughes has an article in the current issue of Crafts Magazine entitled ’Craft’s place in post-Brexit Britain’. The Art Workers’ Guild new 2018 programme is now live on the website. Sansom & Co are pleased to announce the forthcoming publication of the first monograph on stained glass artist, Bro. Keith New. For more information please see their website. Bro. Kee Wilkinson with artist Frances Fay Davies are launching "The Islington Art Room” - A space for artistic adventure, that will run unique evening classes including mono printing with watercolours and surrealist art games, to name a few. Opening the beginning of February, please check the website for more information. Bro. Ben Bacon & Bro. Tim Crawley have been working on the restoration of the Great Pagoda at Kew for Historic Royal Palaces, replacing the lost dragons. Here is Bro. Ben Bacon working on carving one of the lower-tier dragons. Bro. Ivy Smith has an exhibition, ’Watery Places - recent watercolours, etchings and linocuts’ at the Church Street Gallery, Saffron Walden, until Saturday 28 October. Bro. Professor Roger Kneebone will be appearing at the Affordable Art Fair, in conversation with Royal Academician Rebecca Salter on Saturday 21 October from 3 pm to 4 pm. They will be discussing the relationship between art and medicine. Bro. Mark Cockram has his first solo show in the USA, Beyond the Rules, at the Centre for Book Arts, running until Saturday 16 December. Bro. Charles Gurrey is holding an exhibition, Material Matters, with his son, Philip Gurrey, at the Fitzrovia Gallery from Wednesday 8 November to Tuesday 17 November. There will be a private view on Tuesday 7 November, 6 - 9 pm. Bro. Mark L’Argent will be exhibiting at ’Paper Scissors Stone’, which is on at the Obsidian Art in Stoke Mandeville until Sunday 29 October 2017. A number of Brothers will be exhibiting their work at the Geedon Gallery Autumn Exhibition in Colchester from 7 - 22 October, including Bros. Richard Foster, Rebecca Jewell, Lincoln Taber, Jacqueline Taber, Juliet Johnson, Tracey Sheppard, Anne Hickmott, Georgy Metichian and PM Sophie MacCarthy. The Guild is hosting the award-winning campaigner and founder of the global Craftivist Collective Sarah Corbett speaking on ’How to be a Craftivist’. This event is part of the Bloomsbury Festival. Bro. Sarah McMenemy will be holding an exhibition of recent work featuring oil paintings and works on paper, inspired by the effects of light on the sky and sea in the beautiful parks of North London and on the stunning Norfolk Coast. The exhibition is at the Guild and will be open Monday 16 - Saturday 21 October. There will be a private view on Monday 16 October, 6.30 - 9 pm in the Master’s Room, to which you are all invited. Following the very successful first Table Top Museum held at the Art Workers’ Guild in 2014, we are holding a follow-up event on Sunday 24 September. An exhibition of 22 installations, curated by Guild Brothers and others selected by invitation, the event will be an exhilarating, exciting and inventive celebration of the madness and the individual and extraordinary rules of those who collect. Featuring museums of groovy flutes, coastal curiosities, shopping lists, gay dolls and the Chinchilla’s Museum of Crypto-Zoology, to name but a few. An Art Workers’ Guild outreach initiative, the exhibition is organised by Stephen Fowler and George Hardie. It forms part of the Guild’s involvement in the London Design Festival, alongside Neil Jennings’ exhibition ’Works on Paper’. The Museum will be open to the public for one day only on Sunday 24 September, 11 am – 6 pm and entry is free of charge. Refreshments will be available throughout the day. As part of the Guild’s involvement in London Design Week, Bro. Neil Jennings will be holding an exhibition of works on paper from the early 20th Century to the present day featuring drawings, watercolours, posters, lithographs, etchings and wood engravings. The exhibition features work by past and current Brothers of the Guild, including PM Glynn Boyd Harte, PM Marthe Armitage, Bro. Angela Barrett and Bro. Christopher Brown. The exhibition is open Monday 11 - Sunday 24 September. There will be a private view on Monday 11 September, 6 - 9 pm in the Master’s Room. Bro. Eric Marland and Bro. Paul Jakeman have recently finished installing a plaque into the particularly hard Portland Stone facade of the Grand Lodge of the Freemason’s Hall on Great Queen Street, matching the previous three such plaques installed since the building’s opening in 1927. Bro. Romilly Saumarez Smith was on Radio 4’s Woman’s Hour talking about her practice and her place as one of the 12 finalists in the Woman’s Hour Craft Prize in partnership with the Crafts Council and V&A. Bro. Daniel Heath is featured in an article on Design Milk - watch the video below of him discussing his craft and issues that matter. Bro. James Birch, along with Barry Miles, has curated the book ’The British Underground Press of the Sixties’ detailing, for the first time, the covers of every 1960s underground paper and magazine. There will be a corresponding exhibition held at the A22 Gallery, 22 Laystall Street, London, EC1R 4PA from Thursday 28 September to Saturday 4 November. Bro. Mark Miodownik has won the Royal Society Faraday Prize and Lecture. Named after the influential 19th century inventor, the prize is awarded to scientists and engineers for their expertise in communicating scientific ideas to the wider public. Following the very successful first ’Table Top Museum’ held at the Art Workers’ Guild in 2014, we are planning a follow-up event on Sunday 24 September, organised by Bro. Stephen Fowler and PM George Hardie. We are calling for submissions from Brothers of the Guild and others who would like to exhibit their collections, be they large or small. This year, the focus will be on ’Museums’, rather than simply collections. Submissions will be discussed by the Outreach Committee and accepted on the basis of the classification, narrative and explanations provided, as well as the quality, quirkiness or interest of the collection itself. The event will be an exhilarating, exciting and inventive celebration of both the madness and the individual and extraordinary rules of those who collect. It forms part of the London Design Festival, and will feature on the Festival website. 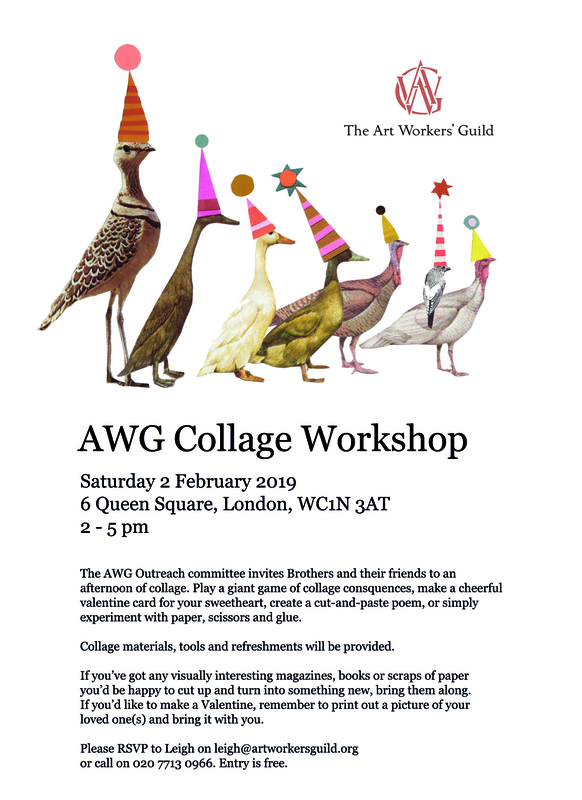 So if you have a collection, however small, that you would like to submit, please contact Leigh on leigh@artworkersguild.org with the following details by Monday 4 September. The Artists’ Collecting Society have just published an ’Artist Spotlight’ interview with Guild Brother Rebecca Jewell. Bro. Ann Christie is holding an open studio at East Neuk in Fife this Saturday 1 July - Sunday 2 July. Bro. Kee Wilkinson is involved in the production of Good Soldier Schwejk taking place at Sands Films with performances from Friday 7 July to Monday 17 July. For more information and tickets please see the Sands Films website. Bro. Richard Haslam was a member of the jury for the Dedalo Minosse International Prize for Commissioning a Building. The award winners of the prize will be shown at Palazzo Chiericati in Vicenza, until Sunday 16 July. Bro. Lincoln Taber has a painting on show at the Royal Academy’s Summer Exhibition. The piece is called Lindum and the exhibition runs until Sunday 20 August. PM Prue Cooper is taking part in the upcoming Landmark Trust exhibition, Inspiring Landmarks, celebrating the Trust’s 50 years of rescuing buildings. She has made twenty five dishes, featuring images of Landmark Trust buildings. There will also be a programme of talks. The exhibition runs Thursday 29 June to Tuesday 4 July at the Old Truman Brewery. Bro. 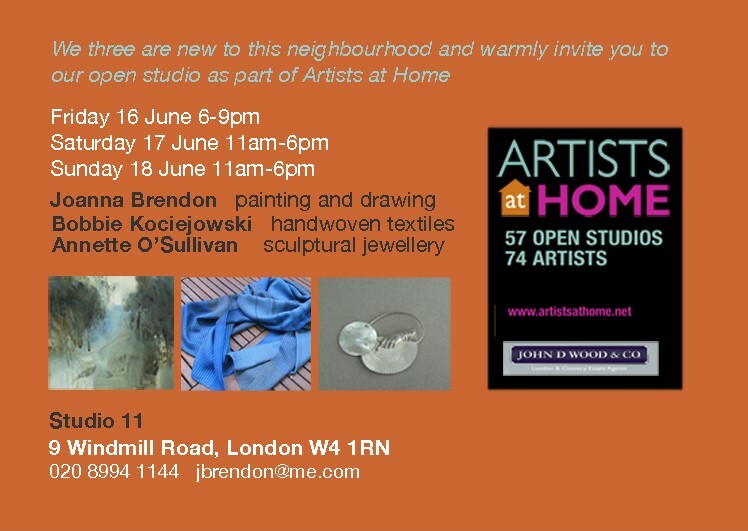 Bobbie Kociejowski is holding an open studio this weekend, 16 - 18 June. Bro. Penny Price currently has a piece of work, ’Shropshire Prune Damson’, exhibited at the Tradescant’s Orchard exhibition at the Garden Museum, running until September 2017. Bro. Tanya Harrod has just published a book with Royal Academy Publications on the painter Leonard Rosoman (1913-2012). The book was designed by Bro. Brian Webb with a preface by PM Peyton Skipwith. Bro. Neil Jennings will be holding an exhibition of PM Ian Archie Beck’s work at the Guild from Monday 19 June - Saturday 24 June. This exhibition is PM Beck’s first one man show to feature all new and original work. With these new watercolours and drawings, he has returned to the roots of his inspiration. These include the music of Debussy and in particular his settings of Verlaine’s poetry which was in turn influenced by the paintings of Watteau. For more information please the attached invitation. The exhibition will be open from 10.30am - 4.30pm each day, except Saturday when it will be open 10.30am - 1.30pm. There will be a private view on Tuesday 20 June, 6-9pm in the Master’s room. Bro. Romilly Saumarez Smith has been shortlisted as one of 12 finalists in the Woman’s Hour Craft Prize and her work will be shown at the V&A from 7 September 2017 – 5 February 2018, before touring to venues around the UK. Bro. Roger Kneebone will be curating a discussion between Bro. Fleur Oakes and vascular surgeon Colin Bicknell about their collaboration tomorrow, Thursday 1 June, 7pm, at the Wellcome Collection Reading Room. Fleur is the Lacemaker in Residence at the Vascular Surgery unit at St Mary’s Hospital. She is exploring how lacemaking techniques can help surgeons improve their skills and how observing surgery can enrich her own practice. The event is free, no need to book, just turn up. Bro Shawn Williamson has created a sculpture trail on the shore of Windermere, carved from huge boulders which were unearthed as the nearby Low Wood Hotel was being extended. He appeared on BBC Cumbria this week talking about his practice and the project. Bro. Silvia MacRae Brown is running a three day course making portraits in clay at the late Bro. John Skelton’s studio near Ditchling. The course runs Saturday 27 to Monday 29 May. Bro. Aaron Kasmin currently has an exhibition entitled Up in Smoke at Sims Reed Gallery running until Friday 9 June. Bro. Susan Aldworth has an exhibition entitled The Dark Self - exploring the experience of sleep - at York St Mary’s from Tuesday 6 June to Sunday 3 September. PM Sally Pollitzer, will be showing her work and demonstrating glass painting and printing this weekend, Saturday 27 May to Monday 29 May, at 31 Bloomfield Road, Bath, BA2 2AD as part of the annual Bear Flat Artists Open Studios. Bro. Chris Brown will be holding an exhibition of his work at the Guild from Friday 19 to Friday 26 May. The exhibition will detail linocuts made during the period when Christopher left the Royal College of Art in 1980 until 2000. Many have been reprinted and editioned for this selling exhibition. During the early years he used a paper suggested by Bawden, which is no longer available, therefore the new editions will be printed on Zerkell. For more information please the Press Release. The exhibition will be open from 11am - 6pm each day and there will be private views on both Thursday 18 May and Monday 22 May, both running from 6pm to 8.30pm in the Master’s room. PM Julian Bicknell is pleased to announce the publication of Designs & Buildings 2001-2016. This second volume of the work of his practice presents thirty projects, built and unbuilt, selected from the past fifteen years. Copies of the book are printed to order and further information can be found at his website. Bro Richard Sorrell has an exhibition at Wolfson College in Cambridge from 27 May to 24 September 2017, Saturdays and Sundays 3-5pm. He will be exhibiting large pictures and small paintings and watercolours. Richard will be giving a talk about his work on 26 May at 7pm at the College. A new selection of work inspired by the Royal Gardens at Highgrove made by members of Guild, including PMs Marthe Armitage and Sophie MacCarthy and Brothers Vicki Ambery-Smith, Daniel Heath, Rebecca Jewell, Peter Layton, Georgy Metichian, Noel Stewart and Mark Winstanley. There will be a ’Meet the Makers’ event on Thursday 4 May from 12-5pm at Fortnum & Mason. There is also a special tea at Fortnum & Mason hosted by milliners Noel Stewart, Edwina Ibbotson and Rachel Trevor-Morgan on Friday 5 May at 3pm. Booking is necessary as places are limited to 20. If you would like to book a place please email customer.services@fortnumandmason.co.uk. Textiles to sooth the mind and soul... The ties between craft and therapy have long been in conversation, but how does craft actually contribute to your wellbeing? For more information and details of booking please see the Selvedge website.